Delhi's fast-paced life is enthralling to be a part of, but occasionally, life in a city can get extremely exhausting. Often we look for places to escape to during holidays, vacations or long weekends to unwind and relax our nerves. Planning for such a getaway can get taxing and that is why we have you covered! Mashobra is a quiet town of Himachal Pradesh that is the ideal getaway for those who enjoy tranquil and secluded places. It is settled at an altitude of 7700 ft and is far away from commercialisation, which is why the town's immaculate beauty of nature remains the same. The town is located just about 350 km from Delhi that takes 8-9 hours to be reached. For a long weekend, here's the place you need to be. Here are the places you can stop by before reaching Mashobra. The city of Panipat has seen the reign of the Mughals and even before that, the presence of Pandavas during the time of the Hindu epic Mahabharata. This ancient city is known for its pivotal histories, such as the three battles of Panipat and for the many temples, mosques and relics of the past rulers and kingdoms. Some of such places you need to visit include Kala Amb Memorial, Kabuli Bagh, Mosque, Shri Devi temple, to name a few. Ambala is a district known for its army cantonment, apart from which the place is spread with interesting places to visit. Sisganj Gurudwara, also known as Baoli Sahib, is a must visit at Ambala. An important pilgrim site for Sikhs, the Gurudwara was consecrated by Sri Guru Gobind Singh. Other places of interest in Ambala are a 400-year-old Rani ka Talab, Hanuman Mandir, Jain Mandir, etc. Chandigarh is a well-executed city that was the creation of an architect called Le Corbusier and India's former PM Jawaharlal Nehru. Created at the hands of these geniuses, Chandigarh is now a great city that has one too many places for recreation. Nek Chand's Rock Garden, Sukhna Lake, Leisure Valley and Rose Garden, are some of the numerous points of interest in Chandigarh. Mashobra is a town that is spread with lush greenery and pristine nature's beauty that is perfect for a family vacation. Craignano, a former summer resort of the prevailing Italian countess, is a fantastic villa that is named after an Italian town. Reserve Forest Sanctuary is a mesmerising forest region that happens to be one of Asia's biggest watersheds. You may walk through the thickets of oak and pine trees or watch various birds like Himalayan eagle, partridge, to name a few. These are the places you cannot miss at Mashobra. The placement of the town at a favourable altitude and the beautiful landscape allows tourists to indulge in various fun activities. 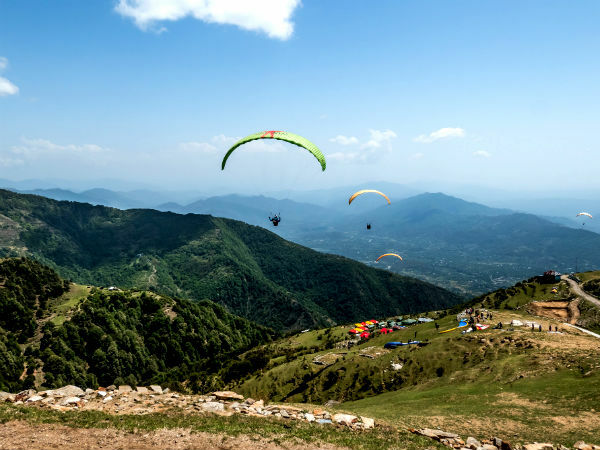 Trek to the famous peak called Shali Tabba which is at a height of 9,430 ft or try paragliding from the point to quench your adrenaline rush! You can try quad biking through the river Tattapani when the water levels are low and skiing through the slopes of Mashobra when it snows during the winter. Mashobra has something for every season!